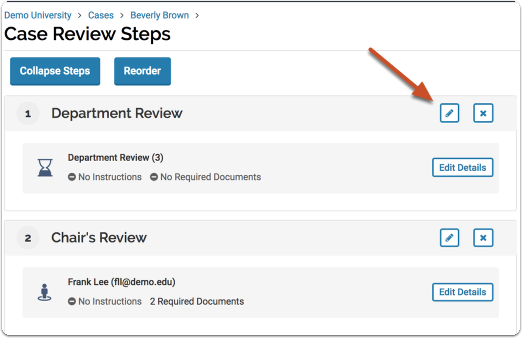 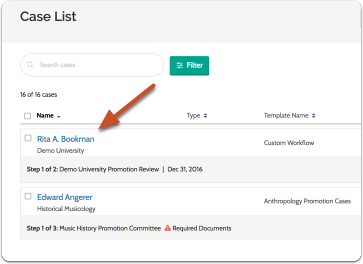 Administrators can delete or remove committees from a case review step by editing the case review step to which the committee is assigned. 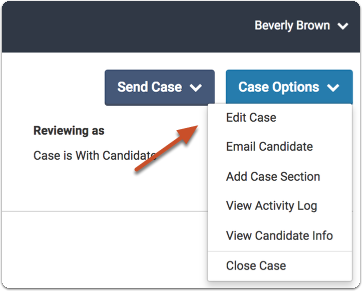 Click "Case Options" to the right of the page, and select "Edit Case"
Note: You cannot remove a primary committee from a step if there is only one primary committee. 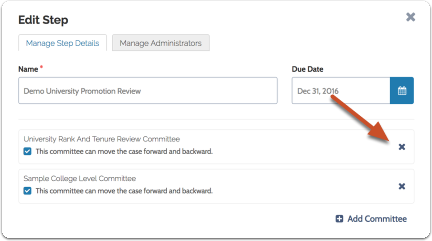 You must create or name another primary committee if the committee you want to delete is the only primary committee.